Thankful Harvest is such a beautiful line of fabric by Nancy Mink. A beautiful combination of fall colors including cream, brown, rust, yellow, gold and shades of green. 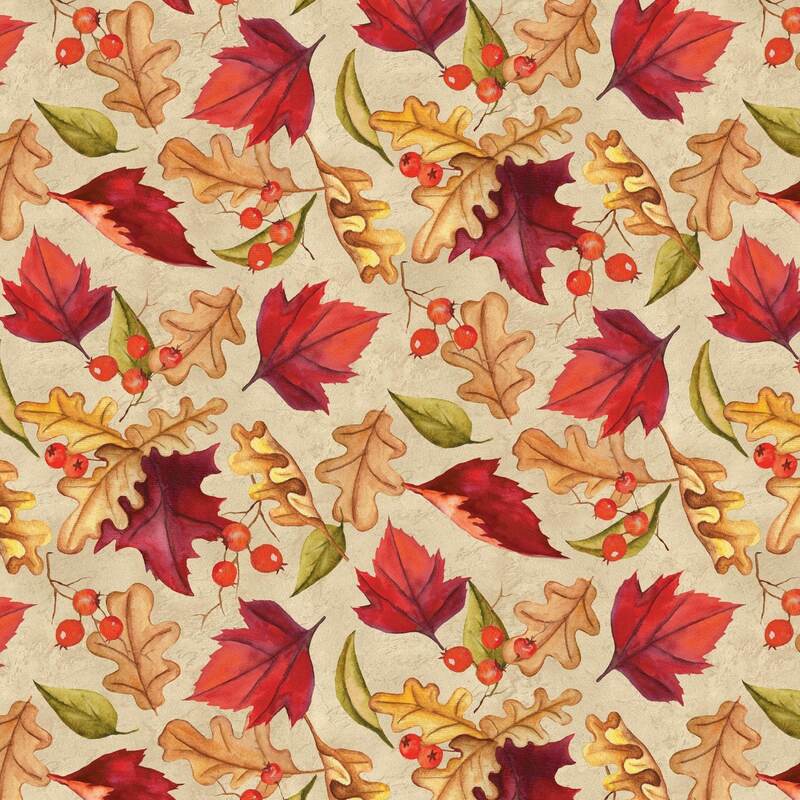 Falling leaves dancing across the cream background almost makes you think you can smell the lush fragrances of fall. Try this fabric and its coordinating prints. All fabrics from The Quilted Nursery Children's Fabric Store are cut directly from the bolt in continuous yardage. We now offer fractional yardage cuts for your shopping convenience. All shipping overages will be refunded upon shipment of fabric. Same day shipping always! Great seller! love this fabric......will buy from this seller again!